PETALING JAYA (PJ), as one of the most vibrant areas in the Klang Valley, has been attracting many investors in the past few decades. As commercial and residential developments in PJ continue to prosper, a new development - Petaling Jaya Commercial City (PJCC) - has emerged as another potential growth area for property development. PJCC, which is developed by PJCC Development Sdn Bhd is currently one of the biggest integrated commercial developments in PJ. 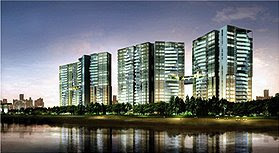 The PJCC development is modelled around and viewed as the second MidValley City in the eyes of some investors. 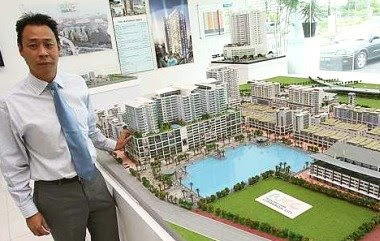 With a gross development value of about RM1bil, the project is slated for completion in eight years. It is strategically located amid established townships such as Bandar Sunway, Subang Jaya, Kelana Jaya, Taman OUG, Puchong and Bangsar. The development enjoys high visibility and is directly accessible from the NPE. It is also easily accessible via a network of established roads such as Old Klang Road, Federal Highway, Lebuhraya Damansara Puchong, Kesas Highway and New Klang Valley Expressway. The project will comprise three phases and includes shop offices, service apartments, a shopping mall, office tower, hotel and retail centre. The 13.2ha prime commercial land will also include six acres of landscape greenery and a lake which is open to the public. PJCC Development sales and marketing manager Donovan Chia said the three-, five- and eight-storey shop offices in Retail City I has been fully taken up. The company planned to launch PJCC Residence, comprising 194 service suites by year-end, he said, adding that they had a built-up of 635 sq ft and 1,550 sq ft.
Chia said the 21-storey PJCC Promenade service suites was currently open for registration and comprised 208 units with built-up of 868 sq ft to 1,215 sq ft.
“The suites come with a retail podium that consists of 23 shoplots, a multi-storey car park and a basement car park,” he said. He said the company had just launched the Retail City II development, which comprised three- and eight-storey shop offices and was looking to sell the property en-bloc. 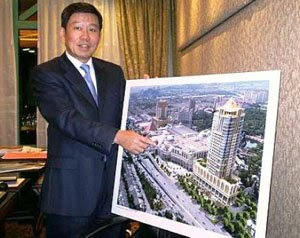 “We have also launched the three-storey PJCC Garden Pavillion, which has 112 retail units,” he said. He added that the Garden Pavillion was a street mall and expected to attract many youngsters and families once completed. Chia said the company hoped to mirror the success of MidValley City and had priced its commercial properties at almost half the current selling price MidValley City’s properties. “We are optimistic on the capital gains potential and rental returns for our properties,” he said. SINGAPORE'S largest private property developer Far East Organisation wants to tap into the influx of Malaysian investors looking at property assets poised for capital appreciation on the island nation. Far East is building a premium residential seafront development, Silversea, to be completed within three years and hopes to capture investors' interest with its unique design. "We are positioning Silversea as a lifestyle product backed by the fact that Singapore's development will leap frog many other places once this credit crisis has passed due to major real estate and infrastructure investments," Far East executive director Chia Boon Kuah told reporters in Singapore recently. Major real estate and infrastructure investments in Singapore from the public and private sectors amount to some US$43.6 billion (RM103.768 billion) for now to 2012. 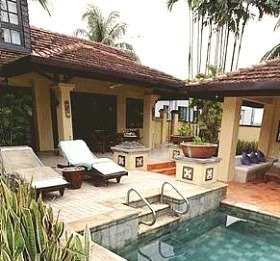 Chia said that many Malaysians were keen to buy into the Singaporean property market, with some 23 per cent of all home buyers in Singapore coming from Malaysia for the third quarter of 2008. According to information obtained from the Singaporean government, Malaysians formed 20 per cent of all home buyers, or have purchased 502 units in total from January to September of 2008. This figure grew from 17 per cent last year. The attraction for investing in Singaporean real estate includes no currency controls or capital gains, no withholding tax on the disposal of property and proceeds can be easily remitted out of the country. The Silversea project, located along Marine Parade Road, comprises four 21-storey glass towers with 383 units in total housed on a 218,435 sq ft site facing the eastern coastline. The units, with high ceilings and full-height windows, range from 968 sq ft (two-bedroom unit) to 4,962 sq ft (four-bedroom penthouse unit). The four-room apartments have their own private lift lobbies with additional features in the master bedroom such as a mini-bar fridge, safe-deposit box and expanded bath. Currently, Far East is releasing the first 13th floors of Silversea's Tower 4 for previews and prices for the units range between S$1,350 and S$2,000 (RM3,213 and RM4,760) per sq ft. The gross development value for these floors comes up to about S$168 million (RM399.84 million). Other facilities in the development are two 50m pools, four dining pavilions, two spa villas and two cabanas. The four different themed dining pavillions - Northern Indian Tandoori, Italian Pizza, Brazilian Churrascaria and Japanese Teppanyaki - come fully equipped with the necessary fixtures such as tandoori ovens for the Northern Indian pavillion. There is also an elevated viewing pavillion, equipped with kitchen amenities, overlooking the tennis courts for individuals to view the ongoing matches while relaxing in the shade. The Silversea development will also feature a sky promenade on the 11th floor of each tower which stretches across to link two buildings. "The promenade will have the five elements incorporated into the design. Residents on the lower levels can come to this floor to enjoy the seafront while utilising other amenities there such as the kitchen, infinity-edge pool or elemental spa," said Far East director of development and planning Chng Kiong Huat. While Far East will have a Silversea exhibition in Kuala Lumpur soon, it is targeting other markets such as Indonesia, India, China, and the Middle East. Chia said he expects overseas buyers to account for some 50 per cent of Silversea's take-up. Its cash reserve of RM554mil as at financial year ended June 30 (FY08) is the highest among all the listed property companies in the country. SunCity managing director for property development Ngian Siew Siong said the company’s strong cash position gave it a competitive advantage to “shop around” for viable distressed assets that might appear in the coming months as a result of the contagion effect of the global financial crisis on the local property market. “SunCity has the resilience to face the tough times ahead. The company’s stronger foray in the international property market and increasing number of high-end projects and high net worth customers will come in handy to weather a market crunch locally,” Ngian told StarBiz. The company’s huge unbilled sales of RM1bil to be realised over FY09 and FY10 will also provide a buffer against a soft market. “Overall the market, especially for high-end residences, is still holding steady. Having gone into the high-end residential sector in a big way, SunCity will be able to weather the tough times ahead quite well,” he said. He said the optimum balance was achieved after a company-wide rejuvenating and asset enhancement strategy over the past eight years that resulted in a leaner SunCity. SunCity currently has undeveloped landbank of 757.6ha with estimated gross development value (GDV) of RM12bil and more than 12 ongoing projects locally and abroad. Its stable of high margin products and good take up of properties have contributed to a strong balance sheet. Sales reached RM1bil in FY08, a big jump from M688mil recorded in FY07, while the margin of its property products is maintained at around 30%. Ngian said although projects in Malaysia presently accounted for more than 90% of SunCity’s property sales, offshore projects were gaining importance and would make higher contributions going forward. Within the next five years, overseas projects will contribute 30% to sales, with the majority from India and China. “The huge population and growing middle-class in China and India have created a big demand for houses in those countries. “We are also exploring opportunities in Vietnam and have received a number of offers for joint ventures with local partners,” Ngian said. He said with its strong design and marketing capability, SunCity had the competitive advantage to add value to property projects in the various regional markets. The company’s maiden property project in India, Sunway Opus Grand Residency in Hyderabad, undertaken jointly with Indian partner Opus Developers & Builders Private Ltd, will be launch in the first quarter of next year. To venture into China, SunCity partnered Sunway Holdings Bhd’s subsidiary Sunway Mas Sdn Bhd and Shanghai Guanghao Real Estate Development Group Co Ltd for a mixed high-rise development in the central business district of Jiangyin New Harbour City in Jiangsu Province. 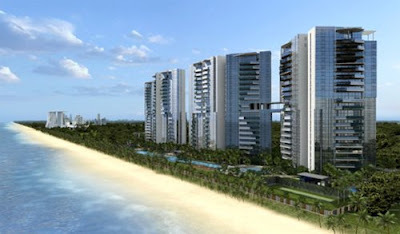 The ultra modern resort-style project will have 1,110 medium to high-end condominium units on over 6.8ha. The project will cost some one billion renminbi (RM473mil). “We believe our maiden project in China will form a base to secure other future property projects in this high growth country in line with the company’s plans to expand into the regional property market,” Ngian said. Besides having established a strong brand name as a reputable and innovative developer of medium to high-end projects, SunCity has also built up a strong property investment division with total assets worth close to RM4bil. The assets range from office buildings to shopping complexes, university campuses, a medical college, hotels and theme park resorts. Over the years revenue contribution from commercial properties has grown to RM630mil in FY08 against RM470mil in FY07. “Despite the current market uncertainties, we are looking towards achieving a 15% revenue growth from our stable of hospitality, leisure and commercial properties going forward,” Ngeow said. SunCity’s property investment division is also planning to broaden the export of its property management expertise to other regional countries. Advanced negotiations are underway to manage hotels under the company’s Allson International brand name in China and Vietnam. Allson International clinched a contract to manage a hotel in Siem Reap, Cambodia early this year. In China, SunCity’s retail property management team was involved in designing and managing a shopping centre in Chongqing, Szechuan province. The timely expansion of Sunway City Bhd’s (SunCity) stable of commercial assets in Sunway Integrated Resort City is bearing fruit for the property group as evidenced by the high occupancy and income fetched by the properties now. The assets include Sunway Pyramid Shopping Mall, the 4.8ha Monash University campus, Sunway University College, Sunway Carnival Mall in Penang, Sunway Resort Hotel & Spa, Sunway Pyramid Hotel and Menara Sunway. The crown jewel of the property investment division, Sunway Pyramid Shopping Mall, underwent a major expansion and redesigning exercise two years ago that cost RM550mil and added 900,000 sq ft in net lettable space to total 1.7 million sq ft.
SunCity managing director for property investment Ngeow Voon Yean said the redesigning and expansion of Sunway Pyramid which was completed last September was a major boost to the group’s rental income stream. “The 360-degree makeover has turned Sunway Pyramid into a palatial and unique shopping kingdom with Egyptian and Morrocan themes. The opening of four new retail theme zones €“ Fashion Central, Asian Avenue, Marrakesh and Oasis Boulevard - offers the ultimate shopping experience for shoppers,” he said. The enlarged mall is attracting more than 2.5 million visitors a month, compared with 1.5 million previously. Pre-tax profit from Sunway Pyramid Shopping Mall and Sunway Carnival Mall is expected to rise to more than RM100mil in financial year ending June 30, 2009 (FY09) from RM80mil in FY08. Ngeow said there was room to explore new shopping malls in the Klang Valley, including Kuala Lumpur. “We may also consider opportunities in India and China when SunCity’s property development projects take off in those countries,” he added. Meanwhile, SunCity’s hotel portfolio has also been expanded to five hotels with a total of 1,234 rooms from just a single property comprising the 431-room Sunway Resort Hotel previously. Ngeow said SunCity had been in the forefront to promote the integrated resort development concept as proven by the immense success of Sunway Integrated Resort City which has become one of the key tourist destinations in the country. “The decade old-initiative that was started by Sunway Group founding chairman Tan Sri Jeffrey Cheah in the 1990s has converted an ex-mining land into a thriving community for residential, leisure, education and commercial hub. These efforts have proven to be very strategic as they ensured SunCity remained strong and relevant to face the current challenging times,” Ngeow said. The township’s commercial hub will be further spruced up with another two office developments in the pipeline. Currently, the only office building there is Menara Sunway with net lettable space of 300,000 sq ft.
A 28-storey block of small-office-home-office (SOHO) and commercial tower with net lettable area (NLA) of 300,000 sq ft will be built adjacent to Sunway Pyramid. Construction work will commence next year. The second office block with NLA of 500,000 sq ft will be build next to Menara Sunway at a later date. “There is still strong interest for office space in Klang Valley’s suburban area because of the growing appeal of suburban commercial hubs. 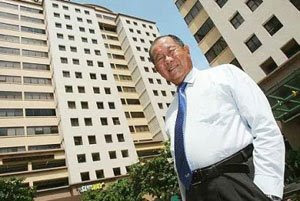 We are looking at rental rates of between RM5 and RM6 per sq ft,” Ngeow said. The International Real Estate Federation (FIABCI) Malaysia is poised to raise the standard of property development in the country with its annual Malaysia Property Award (MPA). FIABCI-Malaysia honorary treasurer Yeow Thit Sang said the awards, now into its 16th year, has attracted some of the finest participants in the country over the years. “We want to contribute to the improvement of the industry and raise the benchmark for property development with this award,” he told StarBiz. Yeow said this year’s awards would be no different, having attracted the creme de la creme of property development. “We have received more than 40 entries this year and all of them developed projects of outstanding quality,” he added. Despite being a local award, winners of the prestigious MPA have gone on to attain international acclaim and recognition. It is no surprise that the MPA has been considered by many as the “Oscars” of the property industry. Yeow gave the example of former MPA and International Prix d’Excellence winner SP Setia Bhd which was offered a development project in Vietnam. “Winning the award contributed to the Vietnamese government asking SP Setia to be a partner in one of their projects. A lot of red tape were also removed with the win. “It takes up to a year to get a business licence when you embark on a development project in a country such as Vietnam but SP Setia received the licence in half the time,” he said. He also cited Westin owner Ireka Corp Bhd, which had problems selling one of its properties because the purchaser insisted on buying the property at a 10% discount. “When Ireka won the Prix d’Excellence, the purchaser agreed to pay the full amount,” Yeow said. The next Prix d’Excellence will be held in Beijing in May 2009. In line with the need to recognise and honour the best, FIABCI sets high standards when it selects its winners. One of its judging criteria includes taking into consideration the impact a particular project has on the environment. FIABCI has raised the bar significantly on environmental awareness for this year’s MPA. “The impact a particular project has on the environment used to account for 10% of the judging criteria. “This year, we have increased it to 25%. We want to promote environmental consciousness among Malaysian developers,” said Yeow. He said projects that used recycled building materials and environmental friendly equipment such as solar panels usually received high points. Yeow noted that the 1 Utama Shopping Centre in Petaling Jaya was the recipient of an International Prix d’Excellence award last year mainly because of its efforts in minimising its impact on the environmental. The building has a huge underground tank that collects rain water which can be used over a few days. “The main factor that gave them an edge at the Prix d’Excellence was the fact that they were recycling rain water for purposes such as flushing toilets,” Yeow said, adding that the shopping centre also saw a huge drop in its water bill ever since. In addition, the evaluation process this year has also been modified and is now more comprehensive and critical. Yeow said the evaluation committee comprised senior real estate agents, evaluators, architects and planners. This year’s MPA will be held on Nov 1 at the One World Hotel in Petaling Jaya, with Malayan Banking Bhd as the official sponsor. A total of 10 categories will be contested. SUNWAY South Quay, Sunway City Bhd’s signature lakeside lifestyle development, is promoting a thriving international metropolis in Sunway Integrated Resort City. Targeted at the growing expatriate and foreign investor market, the RM4.2bil project on 71.2ha will have 4,000 high-end villas, condominiums and retail shops. To be undertaken in 15 phases over eight years, the gated and guarded enclave is SunCity’s masterpiece, one that will rival the Mont’Kiara international zone. “Our selling point is the 11.2ha lake that comes complete with a 70-foot Sunseeker luxury yacht that will be rented to residents to host events,” managing director for property development Ngian Siew Siong said. South Quay has attracted a growing Korean community after a South Korean company, Luxury Court Sdn Bhd, made an en-bloc purchase of 249 condominiums in Sunway South Quay last December. The residences with average built-up of 1,701 sq ft were priced at an average RM400 per sq ft for a total gross development value (GDV) of RM171mil. The project will be completed end-2010. Luxury Court is a joint venture between CI Korea Ltd and Daol Trust & Fund Company Ltd, South Korea’s first specialised real estate fund investment and management company. The same buyers are also keen to make a second en-bloc purchase for another 242 condominiums. Negotiations are currently underway and the residences with average built-up of 1,800 sq ft will be able to fetch a GDV of RM200mil or RM450 per sq ft (psf). These residences will be re-sold to Korean buyers who are mostly professionals from financial institutions and entrepreneurs. Meanwhile, interest for the 77 BayRocks Garden Waterfront Villas under phase one of Sunway South Quay has been quite good. The 2- and 2 1/2-storey villas are priced from RM4.5mil to RM7.7mil, or at an average RM1,000 psf. Since the project’s soft launch in June, close to 50% of the units have been sold for a total value of RM200mil. According to property consultant Regroup Associates executive chairman Christopher Boyd, the South Quay project reaffirmed that lakeside living in an urban community was no longer an impossible dream. Boyd said South Quay symbolised all that was good about lakeside living. “The development embraces the best of nature and tranquillity to create an urban sanctuary,” he added. The expansive lake offers a tropical theme with calming and soothing overtones. “South Quay is a pioneering showpiece of a well-planned refuge for urban dwellers with appreciation of nature and a taste for luxury. “The residents will be able to pursue the usual recreational activities such as jogging and picnics on the landscaped lakeside while the lake itself offers a view most would only dream of,” Boyd said. Malaysian property developers are invited to invest in holiday resorts and hotels on a beach-fronting 1,250ha development in West Java in Tanjung Lesung, Indonesia, about 60km from Krakatau. "We have been appointed by Indonesian landowners to undertake the master planning of a waterfront project in northwest Java," said Tanjung Lesung Waterfront Development Pte Ltd chief executive officer Oliver Tham. Among the 10 shareholders of the 1,250ha waterfront property in Tanjung Lesung are Setyono Djuandi Darmono and Tjahjadi Rahardja. Both are also substantial shareholders of Jakarta-listed property developer PT Jababeka Tbk. Tham, 50, an Australian who was born in Malaysia, said this resort-style development would attract high valued investors, who would like to buy second homes in Indonesia. His company is promoting Tanjung Lesung on the premise of "Indonesia My Favourite Home Scheme". The masterplan earmarked development of 26 hotel/resort/condominiums blocks, marinas, 1,000 waterfront residential lots, Venetian canals and an 18-holed Greg Norman designed golf course. Can the financial “tsunami” currently drowning many banks in the United States and Europe hit our shores? And, if so, how will our property market be affected? I believe we cannot run away from the contagion effects of the credit crunch in the West and like it or not when our economy is affected, so will the property market. However, we will pull through especially given our conservative and well-regulated banking system. The good thing is we are not faced with a property “bubble” as in the early 1990s and also, banks have reduced their construction loans since end of last year to avoid an over-supply situation. Fear, uncertainty and even panic have gripped many investors who have dumped their shares in the local bourse. We must remember that it’s not the global credit crunch that is worrying but soaring inflation caused mainly by spikes in crude oil prices. Although crude oil price has dropped recently, it may go up again. Our property market has been affected by the high construction costs, inflation and a perceived over-built situation especially of high-end homes. However, I am confident that if one has extra money and can afford to service a loan, investing in property especially in a good location is still a safer bet and will yield better returns in the long run. This is not to say that one should not save money in fixed deposits. It is always prudent to have sufficient savings but with fixed deposit rates hovering around 3.7% to 4.2% for 12- and 60-month tenures respectively, it is still a negative return when compared with the current inflation rate of over 7% (for many people it is more like 30%). What about the stock market? Punters have been nibbling at some bargains in the hope of making a tidy profit in the event of an upswing in price. Trouble is many of us are unsure of when it will hit bottom and how long it will take for it to recover, not to mention a bull-run which seems unlikely in the near future. Unlike property, which is solid brick and mortar, share prices are often determined by sentiments and, currently sentiments are very weak. Many property counters have taken a beating. My advice for those wishing to buy their first home is to do it now. Don’t fool yourself that prices of new launches will come down because developers cannot afford to reduce prices anymore as their profit margins are already cut to the bone. In fact many developers I talked to said they were either withholding launches or increasing prices by 20% to 30%. This is also a good time to go bargain hunting in the secondary market and snap up unsold units of upmarket residential homes before developers are forced to increase their price. Those who can afford homes priced above RM1mil may hold back on their purchase because of the prevailing global financial and local political uncertainties. There are already reports of some high-end projects having problems pushing off their units. Times are indeed very challenging. Even established companies such as Sunrise Bhd has seen a 50.6% drop in property sales from RM1.182bil in 2007 to RM583mil for its financial year ended June 30, 2008. Sunrise executive chairman Tong Kooi Ong in the latest annual report said the current environment was extremely hostile to property developers in launching new properties, even if they could secure financing. “We face many of the same challenges as other developers. The most critical currently is the sharp rise in construction costs. With a weaker demand condition, gross margins of future projects will likely fall. “Projects launched earlier face shrinking profits due to higher costs now. Sales will also likely be slower in the months ahead affecting cash flows and profits negatively. “With two major future projects on the basis of build-then-sell, our gearing is expected to rise substantially and our interest expenses is likely to be much higher,” he said. Tong said the sudden and substantial rise in costs had severely damaged the construction industry’s capacity. “This will affect timely completion of projects and will reduce the availability of suppliers and contractors. The industry is further challenged by the increasing shortage of professionals due to the attraction of overseas markets,” he added. He warned that construction costs for new projects were expected to rise even further in the months ahead. “The weaker demand means developers will not be able to adjust prices upwards, leaving little, if any, profit margins,” he said, adding that problems faced by contractors, with mounting costs and shrinking cash flow, would further burden developers.